Build Your Own Dinosaur Museum is a dinosaur book with a difference. It comes packed with dinosaur facts, just like you’d expect, but the book is presented as a museum, with each turn of the page representing a move to a new, exciting exhibit. But there’s a problem! The museum is getting ready to open, but it hasn’t been completed. As you explore the pages, you'll be prompted to complete exhibits using cardboard bones and fossils you'll find at the front of the book. The exhibits to build come with simple instructions, which include a step-by-step visual guide for everything you need to make. The pieces are a little delicate, and construction can be a bit fiddly, so having a grownup nearby to help out might be needed. But once it’s all done, readers will have created their very own dinosaur pop-up book. The facts presented throughout the book are also super cool. They are interesting and surprising, and many covered topics I had not read about in other dinosaur books. The book also goes over the difference between dinosaurs, plesiosaurs (which lived in water and are not technically dinosaurs) and flying reptiles (which aren’t technically dinosaurs either). A wide variety of dinosaurs are featured from across the world, and a handy map at the back tells you where they all come from. With funky and colourful illustrations, the book is very engaging. It’s a joy to explore and will be very appealing to young dinosaur experts. 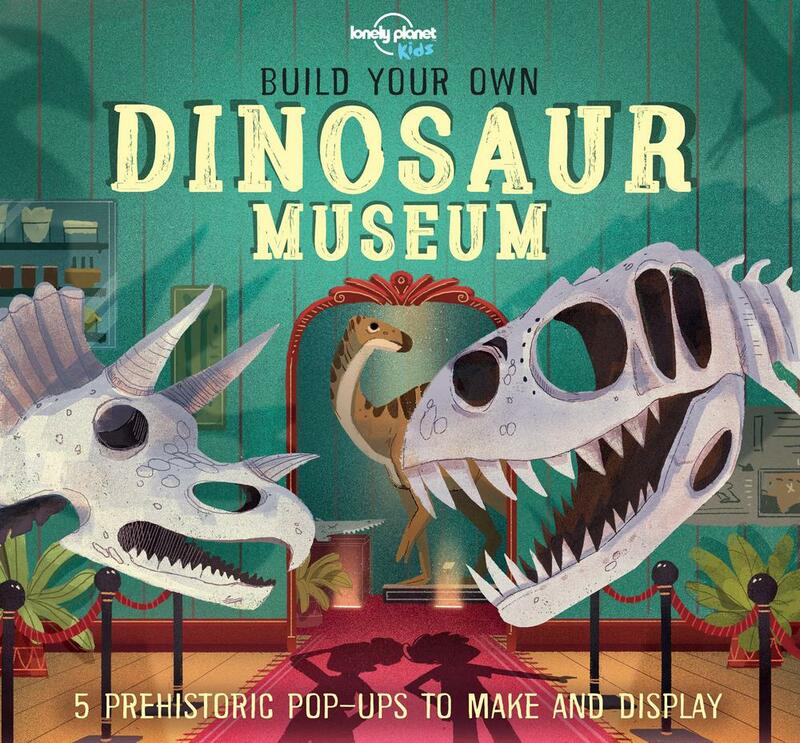 Perfect for a Christmas gift (or an 'any other time of the year' gift, too), Build Your Own Dinosaur Museum will delight all dinosaur enthusiasts and might even convert kids who aren’t yet sure about these ancient, majestic creatures.